Jack & Jones Man Shorts "RICKICON"
Jack & Jones Man Shorts "RICKORIGINAL"
Jack & Jones Man Shorts "RICKDASH"
Jack & Jones Man Shorts "RICK ICON"
Jack & Jones Man Shorts "RICK DASH"
Jack & Jones Man Shorts "RICK"
Seven 7 Denim Man Shorts "Curt"
Seven 7 Denim Man Shorts "Grover"
Premium Denim Man Shorts "Como"
Jean shorts named “RICKICON” by Jack & Jones (12132200) in grey color slightly bleached. Made in regular fit and it closes with buttons. 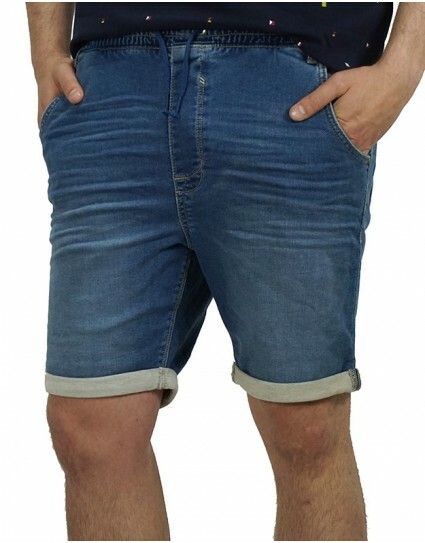 Jean shorts named “DJOVIC” by Replay (ΜΑ985Ε.8005224) in green color slightly bleached with cord on the waist for adjustment. Made in loose fit and it closes with zipper. 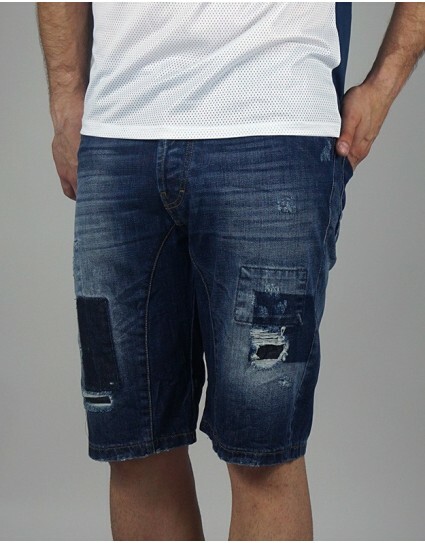 Jean shorts named “DJOVIC” by Replay (ΜΑ985Ε.8005224) in grey color slightly bleached with cord on the waist for adjustment. Made in loose fit and it closes with zipper. 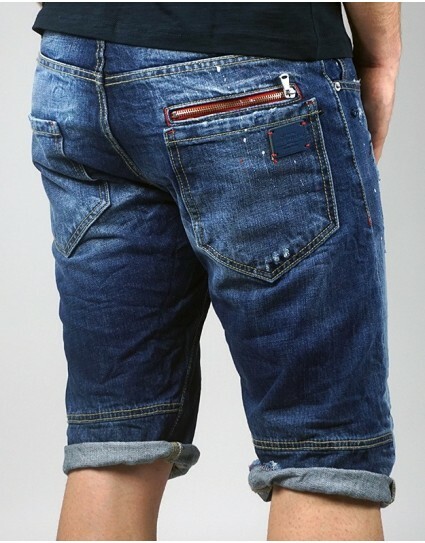 Jean shorts named “WAITOM” by Replay (Μ997Β.000.573315) in denim color. Made in regular fit, it closes with buttons and has elastic fabric. 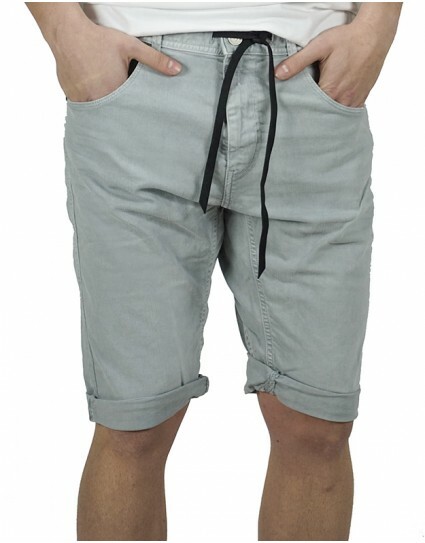 Jean shorts named “WAITOM” by Replay (Μ997Β.000.573313) in grey color. Made in regular fit, it closes with buttons and has elastic fabric. 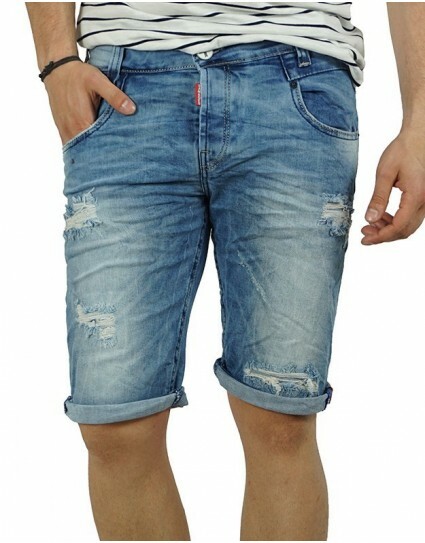 Jean shorts named “RICKORIGINAL” by Jack & Jones (12136638) in denim color with some bleaching. Made in regular fit and it closes with buttons. 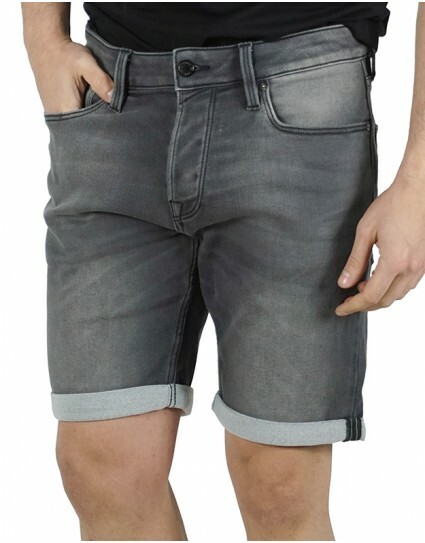 Jean shorts named “RICKDASH” by Jack & Jones (12136229) in grey color with waistband. Made in slim fit and it closes with buttons. 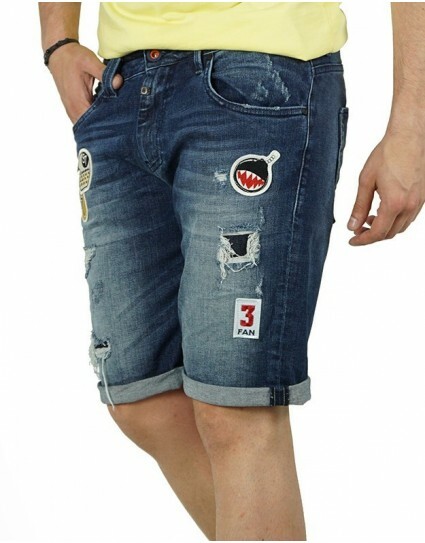 Jean shorts named “RICKICON” by Jack & Jones (12132225) in denim color with some bleaching. Made in regular fit and it closes with buttons. 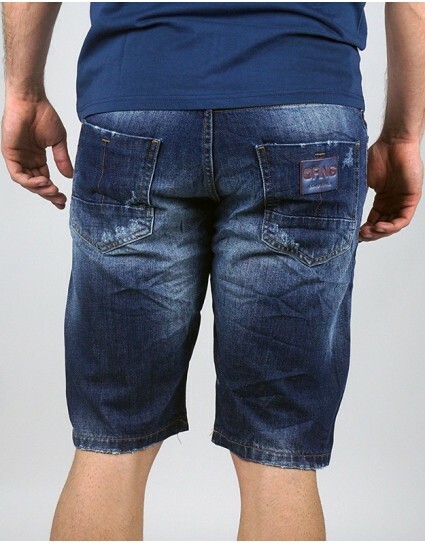 Jean shorts named “RICKORIGINAL” by Jack & Jones (12133318) in denim color with tears. Made in regular fit and it closes with buttons. 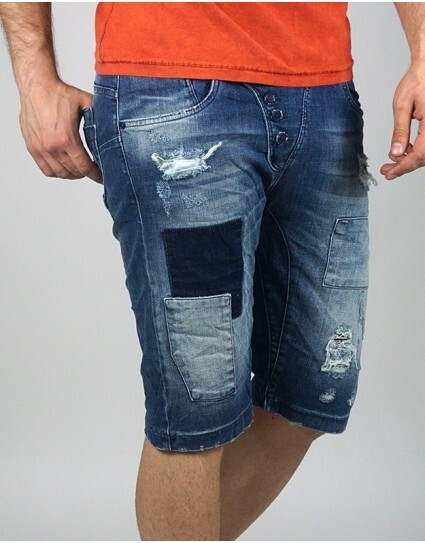 Jean shorts named “RICK ICON” by Jack & Jones (12132212) in denim color slightly bleached with σμαλλ τεαρσ. Made in regular fit and it closes with buttons. 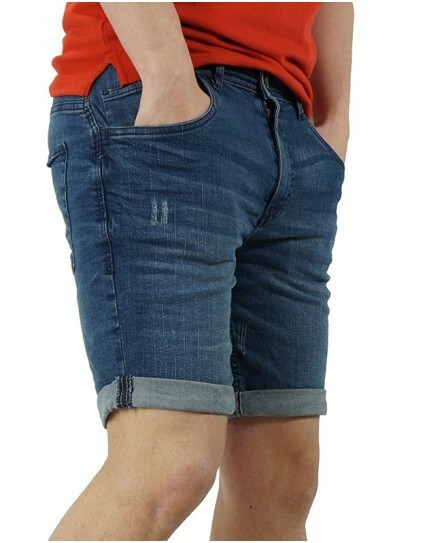 Jean shorts named “RICK DASH” by Jack & Jones (12136232) in denim color slightly bleached with waistband. Made in slim fit, it closes with zipper and has very elastic fabric. 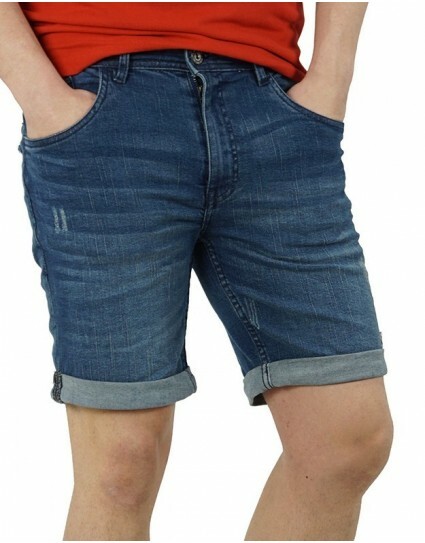 Jean shorts named “FASHION” by Blend (20705244) in denim color with rever and waistband. 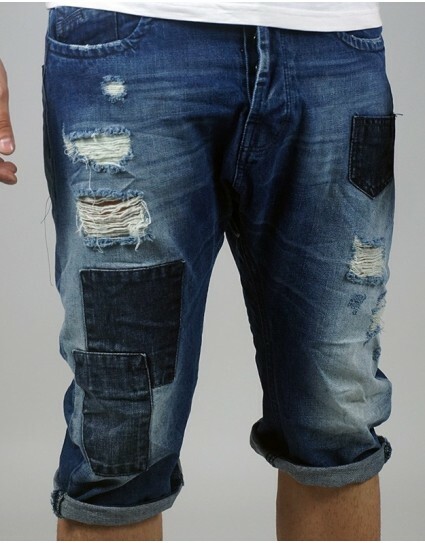 Made in slim fit with low croch and it closes with zipper. 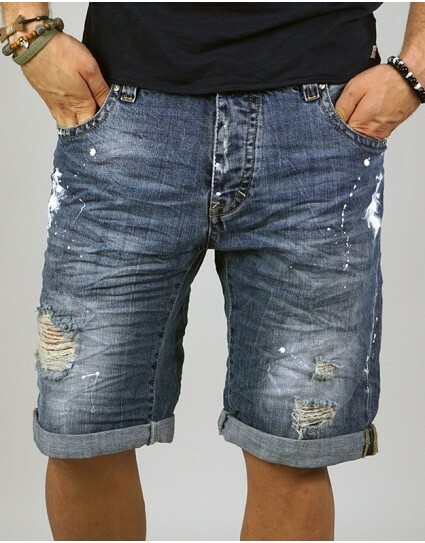 Jean shorts named “JET” by Blend (20705243) in blue black color with rever. Made in slim fit and it closes with zipper. 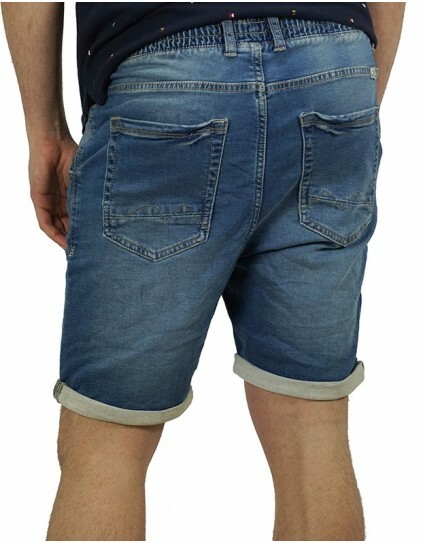 Five pocket shorts named RICK” by Jack & Jones (12132687) in blue color made of cabartin fabric. Made in slim fit and it closes with zipper. 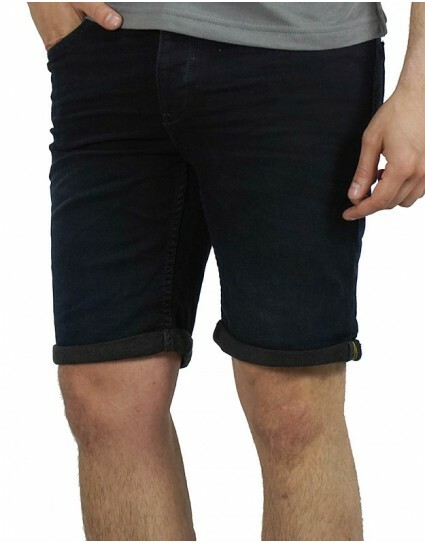 Jean shorts by Jack & Jones (12116592) in black color slightly bleached with its revers on the bottom stitched. Made in slim fit, it closes with buttons and has very elastic fabric. Its length is above the knees. 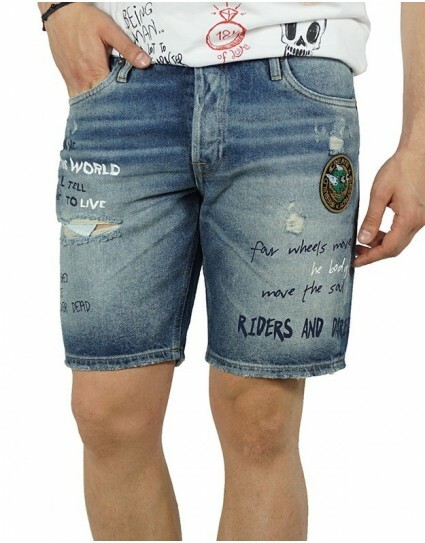 Jean shorts named “JOS” by Jack & Jones (12122243) in denim color with stitched logos, light tears and handwritten “RIDER QUOTES”. Made in slim fit and it closes with buttons. Its length is above the knees. 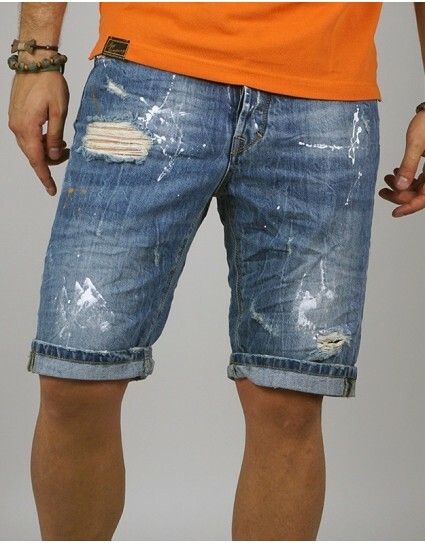 Jean shorts “Chlorium” by Damaged (DB10) in denim color with light tears. 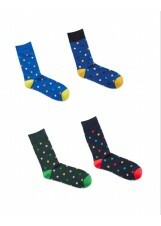 Made in comfortable slim fit, slightly loose, it closes with buttons and has very elastic fabric. Its length is above the knees. 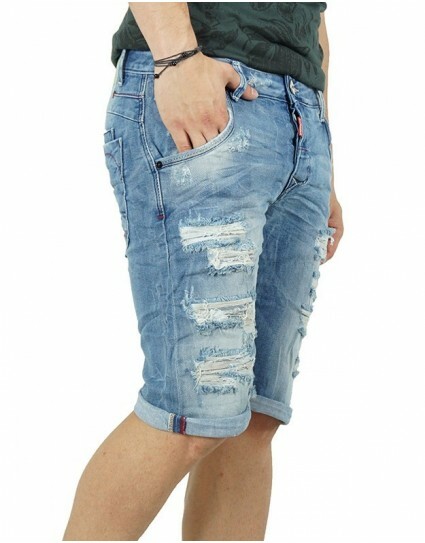 Jean shorts by Jack & Jones (12121249) in denim color with tears with intense stitching, patching and light bleaching. Made in slim fit, it closes with buttons and has very elastic fabric. Its length is above the knees. 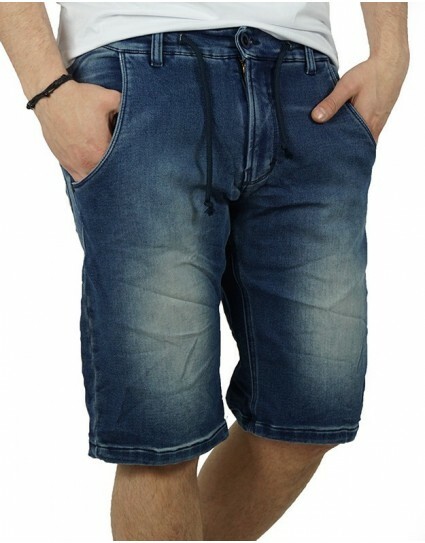 Jean shorts by Jack & Jones (12117806) in denim color with tears and chlorine bleaching. Made in slim fit and it closes with buttons. Its length is above the knees. 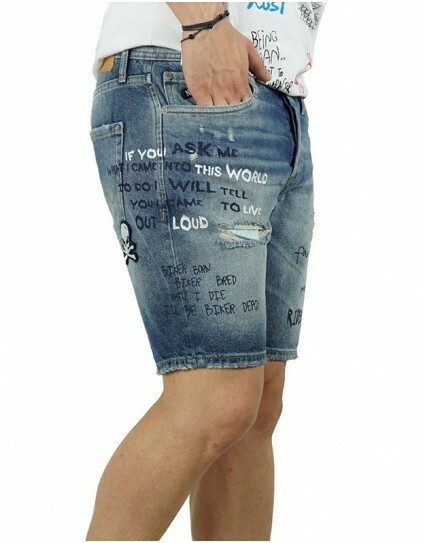 Jean shorts by Cover (8296) in denim color with patched badges, light tears and bleaching. Made in slim fit and it closes with buttons. Its length is above the knees. 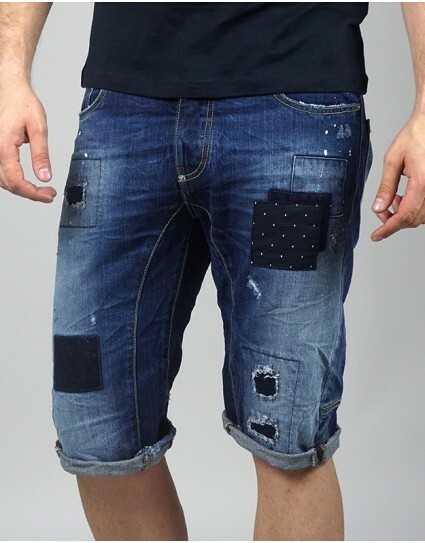 Jean shorts by Damaged (DB2) in denim color with tears and inside patching. Made in slim fit, it closes with buttons and has elastic fabric. Its length is below the knees. 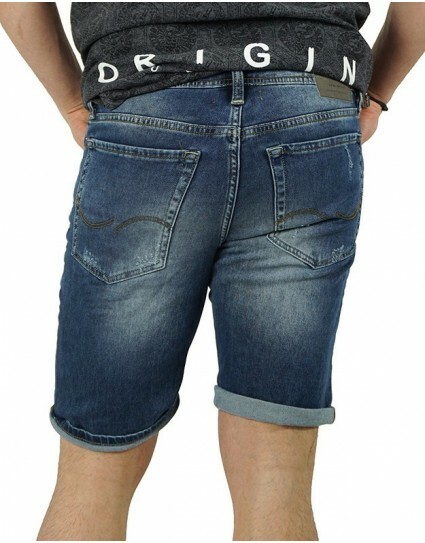 Jean shorts by Damaged (DB5) in denim color with tears and bleaching. Made in slim fit, it closes with buttons and has elastic fabric. Its length is above the knees. 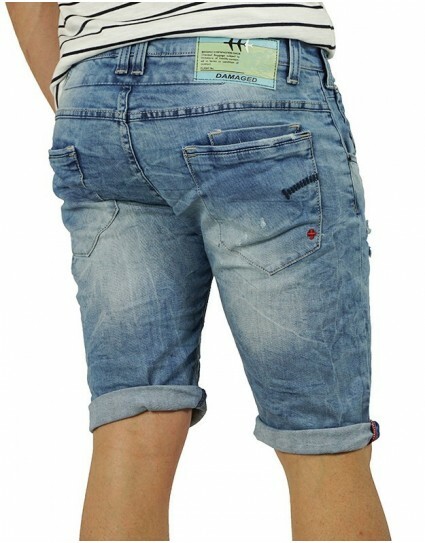 Jean shorts named "WEST" by Cover(9698) in denim color with discreet bleaching. Made in slim fit, it closes with zipper and has very elastic fabric. 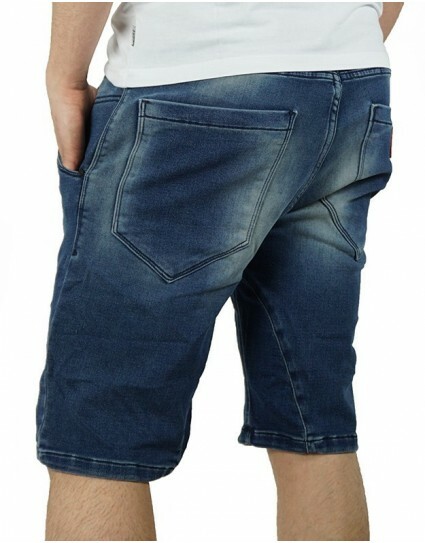 Jean shorts named "LUCIO" by Cover(8297) in denim color with tears. Made in slim fit, it closes crooked with buttons and has elastic fabric. 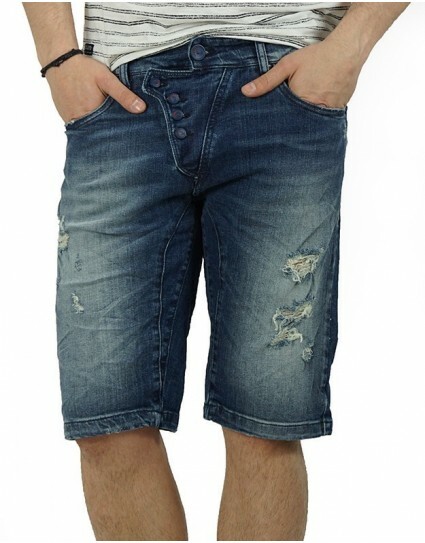 Jean shorts by Jack & Jones(12117805) in denim color with tears. Made in slim fit, it closes with buttons and has elastic fabric. 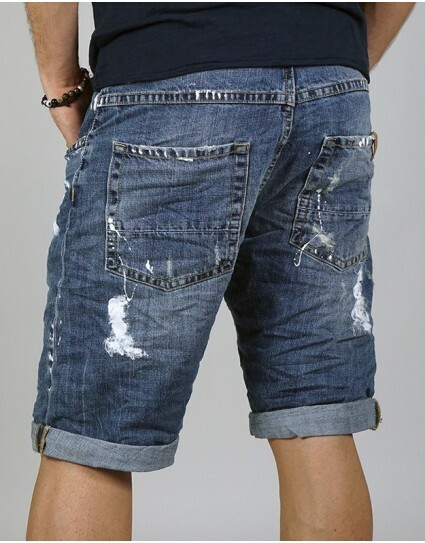 Jean shorts by Blend(20702257) in dark denim color with revers, light bleaching and abrasions. Made in regular fit and it closes with buttons. 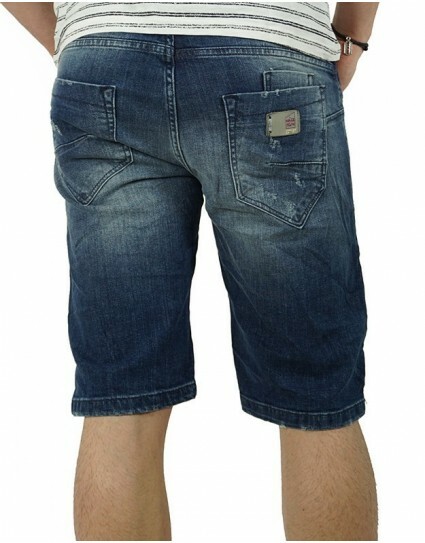 Jean shorts by Blend(20702257) in denim color with revers, light bleaching and abrasions. Made in regular fit and it closes with buttons. 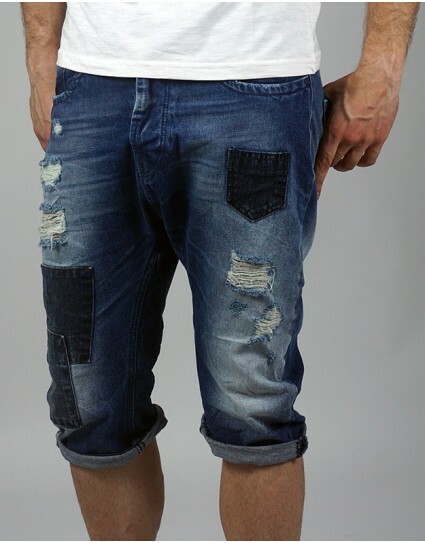 Denim jean shorts named “Curt” by Seven 7 Denim with tears, paint spills and elastic fabric. Made in slim fit and it closes with buttons. 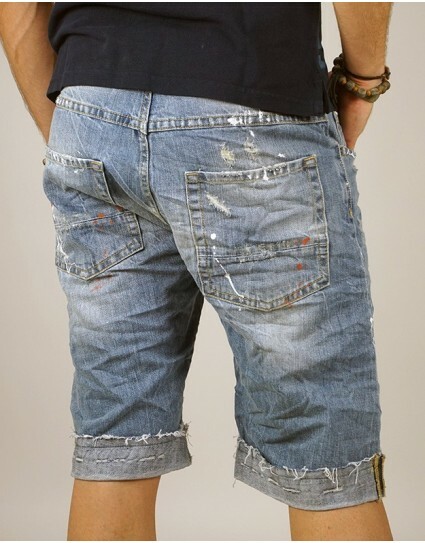 Denim jean shorts named “Grover” by Seven 7 Denim with tears, paint spills and elastic fabric. Made in slim fit and it closes with buttons. 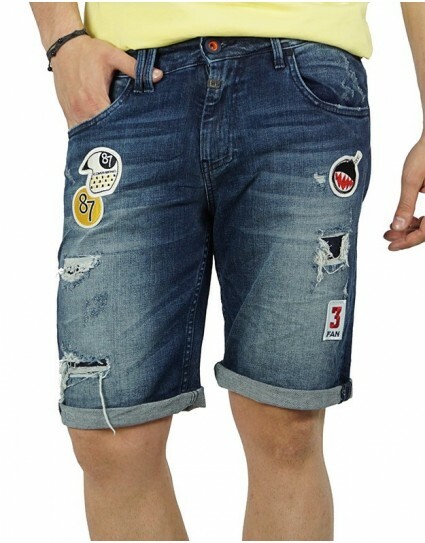 Denim jean shorts by Jack & Jones with patches, tears and elastic fabric. Made in slim fit and it closes with buttons. 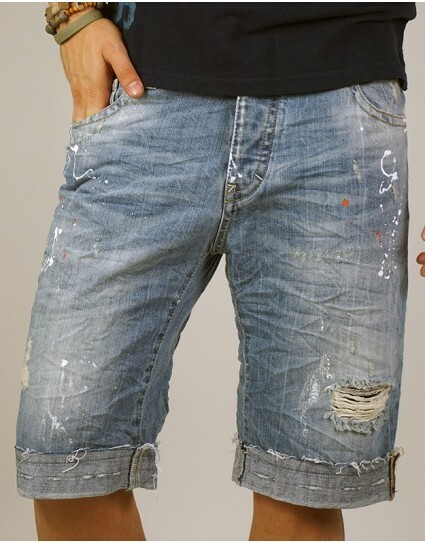 Denim jean shorts named “V.Lucio” by Cover with tears, bleaches and patches. Made in slim fit and it closes with buttons. 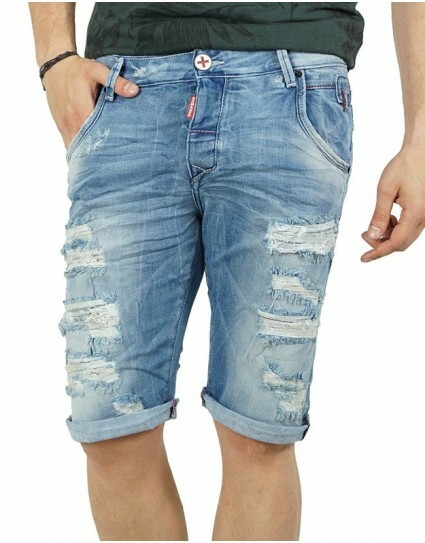 Denim jean shorts named “V.Biker” by Cover with tears, bleaches and patches. Made in slim fit and it closes with buttons. 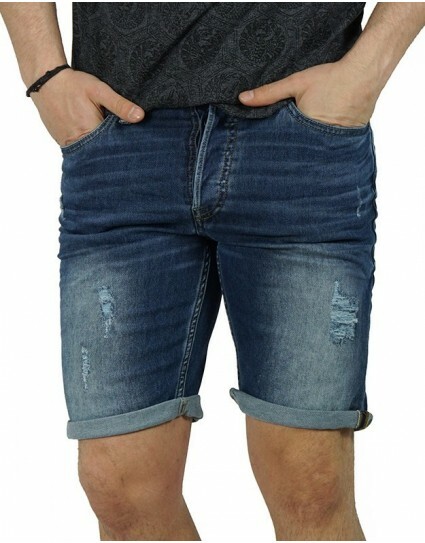 Denim jean shorts named “V.Danny” by Cover with tears, bleaches and patches bellow the knee. Made in slim fit and it closes with buttons. 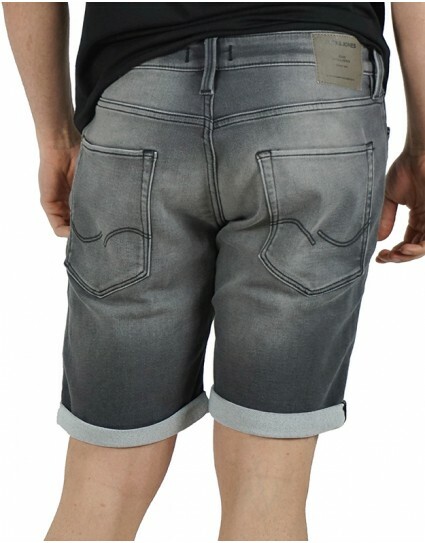 Denim jean shorts named “Como” by Pemium Denim with tears, bleaches and patches bellow the knee. Made in slim fit and it closes with buttons. 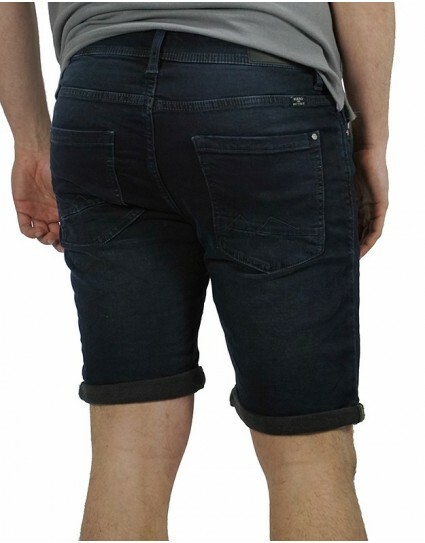 Navy jean shorts by Jack & Jones with very elastic fabric. Made in slim fit and it closes with buttons.